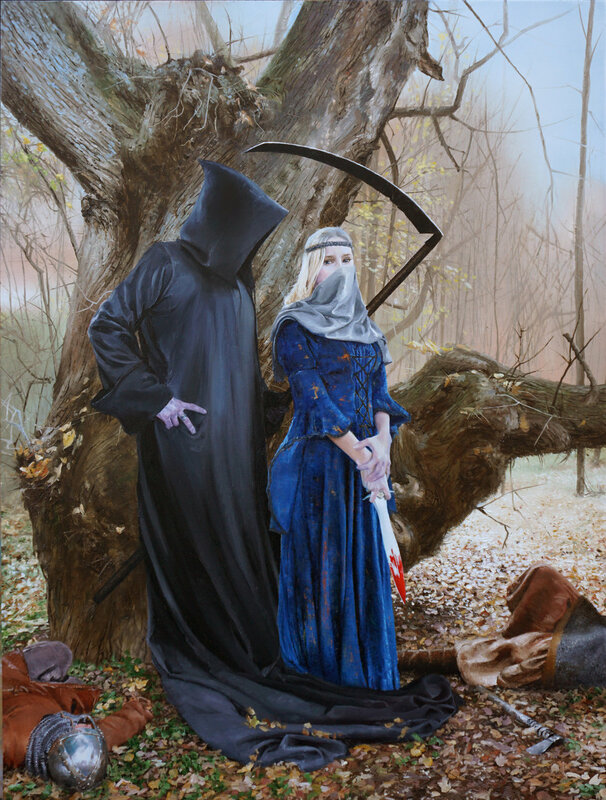 Courting Death, 18"24", oil on panel. Adolescence, 36"x24", oil on panel. 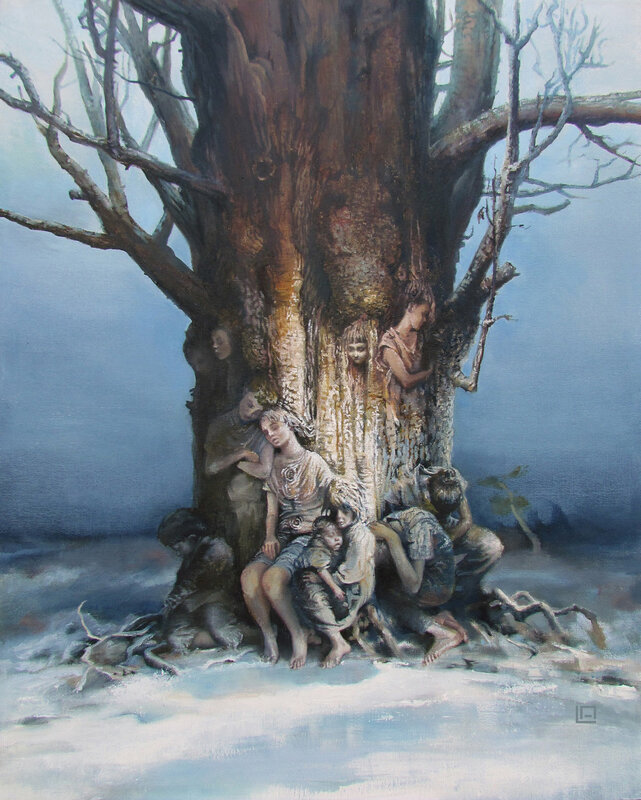 The Tree of Splintered Dreams, 16"20", oil on canvas. 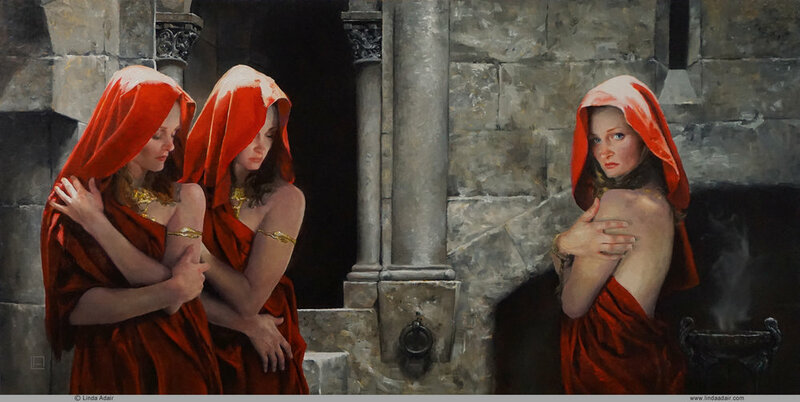 Anathema, 24"x12", oil on panel. 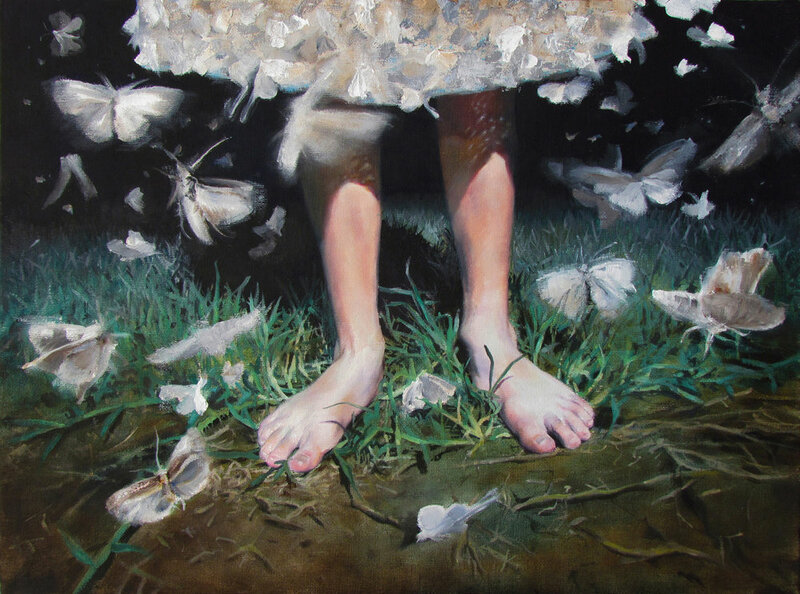 Fallen, 36"x24", oil on panel. Messengers, (Triptych), 12"x16", oil on panel. Messengers, (Triptych), 20"x16", oil on panel. 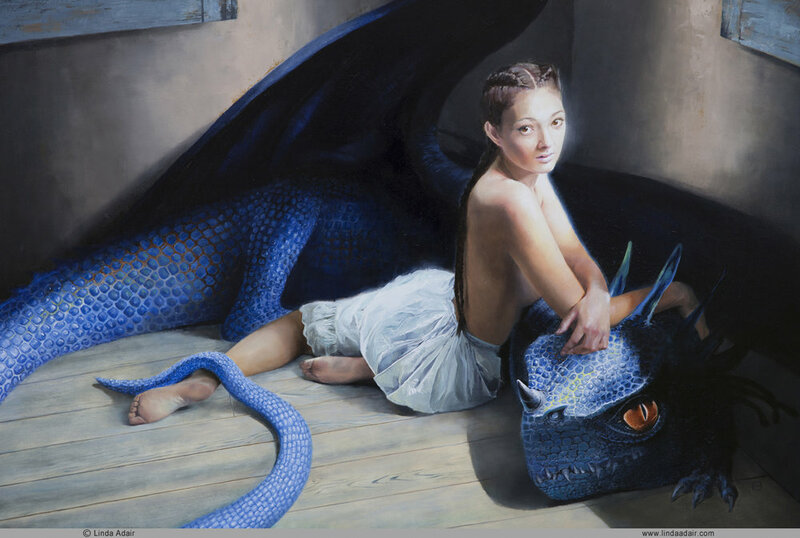 Young Khaleesi, 18"x18", oil on canvas panel. Candle In The Dark, 12"x16", oil on canvas panel. Silence, 10"x12", oil on canvas panel. Mothgirl, 16"x12", oil on canvas panel.